Lovely photos, once again, but I've never seen the cave with Christmas decorations in it! Did you see Santa arrive? Truly lovely scenery Joan,..well done..it makes me feel i ought to get my rucsack back on .a.s.a..p..
A lovely walk around Malham but I had forgotten all about the coins for the fairies! I loved the dramatic October sky in your Flasby Fell collection but would love to know how you always manage to choose a day to walk when the weather is favourable! Perhaps your ruck sack dolly doesn't want to get wet! I think you should send all these off to the Yorkshire Tourist Board when it is complete, superb photography! Oh JOAN!!!! was gasping at the beauty and vastness of it all!! and that was only Pen-y-ghent!! Will be back to view the others... but how wonderful that the 'Yorkshire Dales' are still in tact!!! lovely website to visit joan, keep up the good work. look forward to your next walk. the photos are stunning. Beautyful Joan , I too loved the dolly, sat on top of the signpost showing the way , lovely touch. 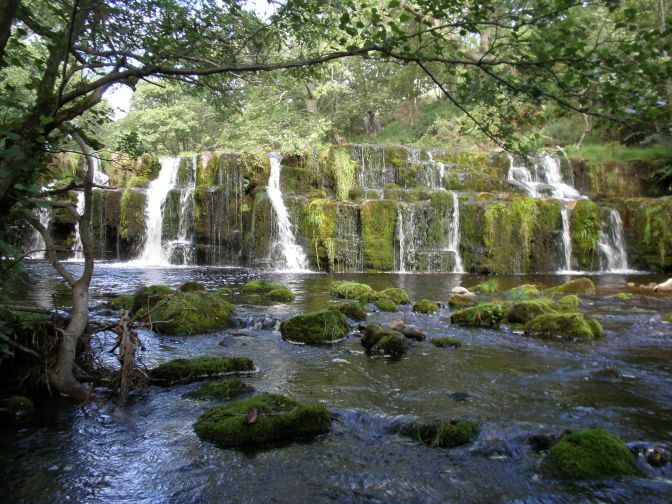 I thought that the pictures were excellent and showed just how lovely the Dales are. A rucksack dolly yokel wanders in Yockenthwaite. Lovely photographs! These bring back happy memories of our walking days in the Dales. The photos were taken on 30 seperate walks around the Yorkshire Dales. It's very much work in progress and as each walk is completed pictures will be added.The aim is to complete within 30 weeks.We hope you enjoy the views.